I couldn’t get an exact number, but apparently it was well over $400K..
anybody note how high the bids were on ebay before is disappeared? $350-450K would be my guess given the frenzy for these "found" car as of late. My car also had coupe seats in it which I promptly got rid of for Speedster seats! Wow, truly amazing barn find. Hopefully we can follow the story with new owner. I guess I see this in a different light. I see a car put away with no care, and no respect. Yet, at time of sale the heirs are rewarded richly. I inherited a vw from my dad 30 years ago, most people think I restored it, but it is totally original, because I took care of it. Just my opinion. Robert Thiemrodt wrote: I guess I see this in a different light. I see a car put away with no care, and no respect. Yet, at time of sale the heirs are rewarded richly. I inherited a vw from my dad 30 years ago, most people think I restored it, but it is totally original, because I took care of it. Just my opinion. 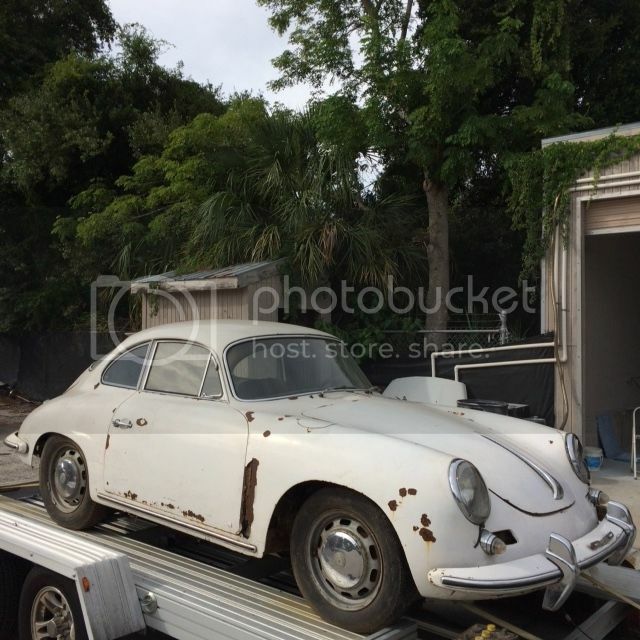 it is interesting to see people pay for these barn finds as much as restored cars. I think it is due to the fact that they are only original once and collectors like to find them undisturbed regardless of condition. Having the opportunity to restore an untouched complete car is very rare nowadays. I found my car in a barn and actually rather it over a turn-key restored car. The irony in this car is it is not original, as it left the factory. I am still a green horn in the 356 world. But, my readings teach me the black knobs on dash are from a 'B' not an 'A'. The Coa and rear deck emblem indicate a 1600 normal, the tach, with a redline of 5000 would be for a super, not a normal. The shift knob does not look correct either for a 1958. I'm sure the gurus on the registry see even more inaccuracies. Just my opinion.